Prices for benchmark oil have followed a mixed trend during the mid-week trading after the hikes posted yesterday. Meanwhile, some Asian users abandon imports of US shale oil, while Venezuela faced another blackout which entailed the suspension of the oil supplies. According to the market data, the May futures for the Brent oil at the ICE Futures went up to $67.44/bbl staying close to $68/bbl, which was achieved earlier today. The May futures for the WTI grade at the NYMEX decreased to some $59.67/bbl. The market has become concerned about the possible global economic slowdown again after China released weak economic reports. At the same time, oil has got some support from the recent statements of Russia's representatives who said Russia intends to keep sticking to the production cutback agreement under the OPEC membership. The American Petroleum Institute reported that oil reserves in the USA increased by 1.93 million bbl over the past week. 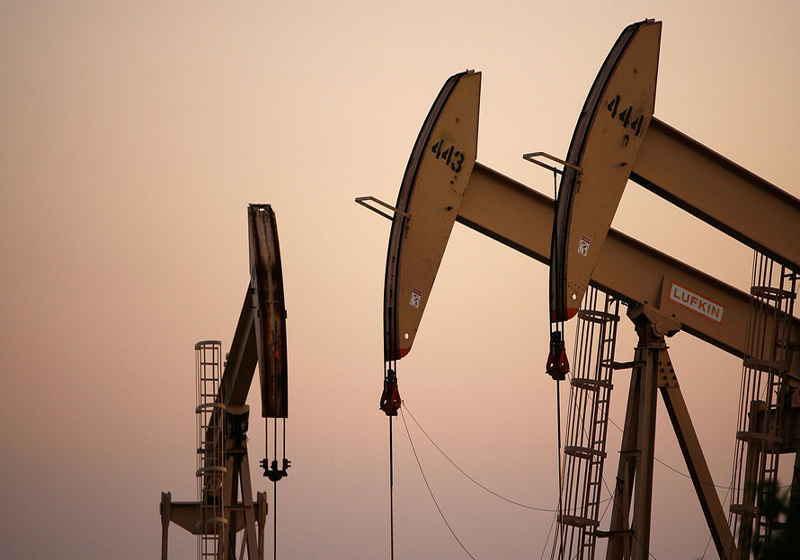 At the same time, petroleum reserves dropped by 3.469 million bbl and those of distillates – by 4.278 million bbl, according to the released data. The US Energy Department will release the official reserves figures today. The market experts forecast a decline of 2.2 million bbl. Meanwhile, in Asia two South Korean companies have refused to accept already purchased shipments of shale from the USA citing admixtures that hamper further processing. This can be connected to insufficient infrastructure, as many oil fields have to use one and the same pipelines and oil tanks for different oil grades. One of the reasons behind the recent oil quotes hikes is said to be the blackout in Venezuela, which entailed the suspension of oil shipments. According to the news reports, 18 out of 23 states faced power cut due to the second failure at the major hydropower station El Guri. As a result, the most important parts of the oil infrastructure have been affected and stop operating. It should be mentioned that four oil refineries have remained offline since the previous blackout. The country's main oil terminal Jose was stopped this Monday. The New York State Department of Financial Services (DFS) announced a positive determination on the cryptocurrency license known as BitLicense to a crypto broker, which will become the 18th company to get the green light for business operations in the New Year state. The subsidiary of Tagomi Holding, Tagomi Tading LLC will actually become the first company offering cryptocurrency brokerage services that were awarded with the license in the state. Along with this, Tagomi also got permission for money transmitting.